Can you sense the excitement these disciples felt? They were sent out into the world by Jesus to preach the Good News of a new life that awaits all who repent and turn to Jesus for salvation. They were given power to speak boldly, to heal, to bring light unto darkness in the name of Jesus. These were not extraordinary people chosen because of their amazing human abilities. These were people who simply believed in Jesus, listened with faith and then traveled in obedience. They didn’t know what to expect once being sent into the mission field of neighboring towns, only that they were called to go and that the journey would be difficult and dangerous. 18 And he said to them, “I saw Satan fall like lightning from heaven. 19 Behold, I have given you authority to tread on serpents and scorpions, and over all the power of the enemy, and nothing shall hurt you. Jesus is excited too! He shares their enthusiasm. 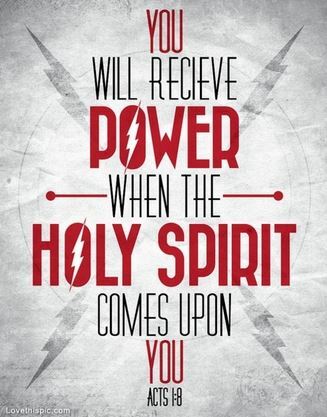 God is well pleased when men and women of God, rich in the power of the Holy Spirit step into the world and speak truth, bring healing and spread encouragement and hope. The rewards of this new life in Christ so far outweighs the old life of striving for more money, nicer stuff, and greater recognition. The life lived in selfish pursuits of what the world offers leads to emptiness, sorrow and disappointment and even spiritual and ultimately physical death when taken to the extreme (addictions, crimes, betrayal, jealousy, resentments). But a life of intentionality poured out to share the Gospel of Christ, to share the forgiveness and compassion we receive so richly from our Heavenly Father with all whom He places in our path each day is to live a life of abundance. I love that I was led into Luke 10 this morning because I experienced this joy just this last weekend. A woman at church was abandoned by her husband leaving her with 2 small boys, 7 months pregnant, and a mortgage she couldn’t afford. A tragic situation but by the grace of God, her loving family, the heart of the church and the power of Christ through the Holy Spirit many rallied around her. She was flown cross country to be close to family, provided a nearly fully furnished home through donations and miracles of timing, and a long story short, I was blessed with the opportunity to help coordinate the volunteers on move-in day. To experience the people coming together to help this young family, donating furniture, appliances, clothing, bedding, money, time, sweat and the heart-felt prayers… there was an incredible energy throughout the day and I feel like I know exactly how those 72 felt when they returned to Jesus to describe the miracles they witnessed. To be a part of healing, whether for a moment or a lifetime brings incredible joy to God our Father in heaven, for this is what we were designed for. It is beyond description the feelings of great joy I felt that night at the overwhelming sense of something good was done today. In that moment of awareness I realized the incredible contrast from my old life to the new which revealed the power of Christ in me. I realized that on any Saturday in my past life it would have started with “what do I want to do today” and spent it in pursuit of “fun” trying to fill a void that I couldn’t define. But today my thoughts and desires are filled with “how can I be a blessing in someone else’s life today” and at the end of the day I am blessed with experiencing that fullness I had nearly given up hope of ever finding. That fullness has nothing to do with the status of my checkbook ($52) or coming home to a nice house (460 sq ft apartment) or having a full refrigerator (1 frozen chicken breast in the freezer), or a new car (6yr old bought used) or fancy job (office is in the back of a parts warehouse) or a beautiful wife (single). That joy comes from knowing that my life made a difference in the life of another, even if only for a day or a moment. That joy remains knowing that there is an endless supply of people in need and by God’s grace I will get to experience the joy of coming alongside others in my church with the selfless desire to bless another in any way we can, for no other reason than to glorify God. My deepest and most sincere desire for the whole world this morning is that everyone gets at least one moment in their life, through a personal relationship with Christ can experience the Kingdom of God here on earth and be given eyes to see and ears to hear and will personally experience the incredibly joy that comes from knowing you are part of God’s great plan for the redemption of the world. We are given power through Him who saved us and promised eternity by His side, this is our reward through faith in Christ Jesus and it is not something we have to wait for or work for, it is something we can live out and experience each day, starting today. In the midst of darkness and pain WE are the light. WE are love, WE are one in Christ with a purpose to bring healing to others by revealing His incredibly love through our sincere love of others, ALL others (who is your neighbor). This entry was posted in Addiction, encouragement, faith, God's story, hope, I Am, Jesus, love, my story, Salvation and tagged healing, Holy Spirit, hope, joy, new life in Christ, passion, peace, purpose, redemption, salvation. Bookmark the permalink.